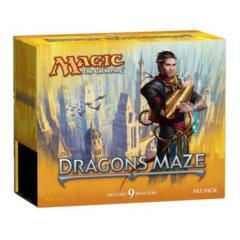 This item is for 36 Dragon's Maze booster packs that have been opened, repacked into unsealed booster pack wrapping, and placed back into a booster box. The cards are new and have never been played with! 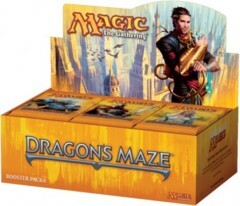 We make these booster box repacks as we open thousands of packs looking for several cards we need to fulfill our orders. 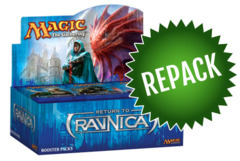 We then repack boxes with the remaining opened boosters and offer them for a discounted price! 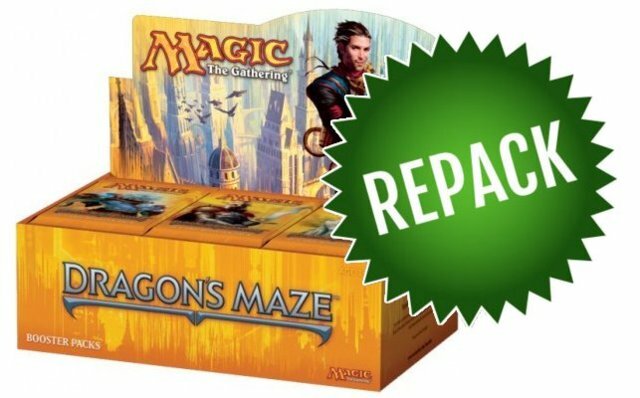 This repack is a great way to boost your collection and to get a lot of hot Dragon's Maze cards for a discounted price! 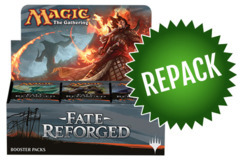 These repacked booster packs are also fantastic for drafting! 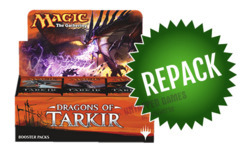 Each repackaged booster pack contains 1 Mythic Rare/Rare, 3 Uncommons, 10 Commons, 1 Token/Tip Card, and 1 Basic Land. 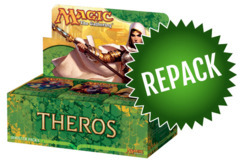 Each box contains at least 1 Mythic Rare!